Alan has been writing for as long as he can remember. His first novel, The Beautiful Land, was the winner of the 2012 Amazon Breakthrough Novel Award. He’s also done writing and localization work for dozens of video games, including Fire Emblem Awakening, Hotel Dusk, and Nier. He currently lives in the Pacific Northwest with his wife Sue, his dog Sam Perkins, and a whole lot of rain. You can find more of his random musings on Twitter at @frodomojo, or at www.alanaverill.com. The Beautiful Land, by Alan Averill,is one of those books that I could mostly enjoy as I go along thanks to some snappy dialogue and likable main characters placed in some interesting situation, but always with the nagging feeling in the back of my head that things just aren’t holding together as they should be, that the whole underlying structure is just a little shaky and were one of those moments of witty repartee to suddenly go awry, the whole thing just might collapse underneath me. 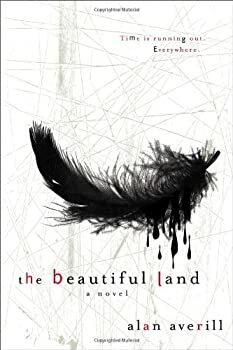 The Beautiful Land never did, not wholly, but it was definitely teetering by the latter third or so of the novel and though I ended up have a good time with it, it didn’t leave me feeling totally satisfied, especially if I thought about it for very long.